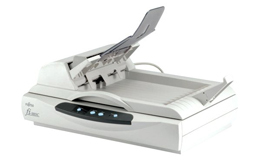 The Fujitsu fi-5015C scanner's small footprint and advanced feature set make it an ideal solution for decentralized scanning applications. Equipped with a powerful 600-dpi true optical resolution CCD sensor, it captures your document's finest details in both 24 Bit Color andmonochrome. 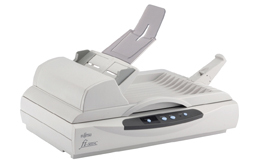 The fi-5015C also features an operator panel allowing effortless scanning directly to print, an email attachment, FTP, Adobe PDF, network share, or to your viewer. Adobe® Acrobat® Standard and ScandAll Pro are included with the Fujitsu fi-5015 scanner, which allow you to quickly and easily integrate your workflow.